Half Deck of our famous Baby Backs and One Skewer of Shrimp, seasoned and grilled on the Pit and basted with Lemon Butter Sauce . 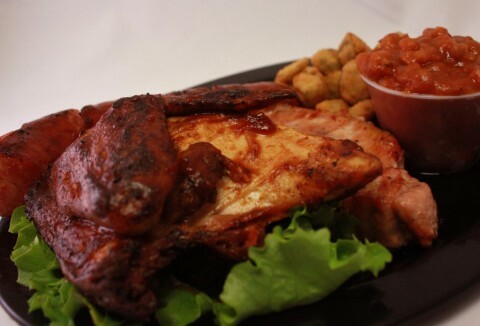 Select from Bar-B-Q Chicken, Chopped Pork, Chopped Beef, Pork Chop or Pork Spare Ribs. In Casino establishments throughout the world, the person in charge of the casino games is referred to as "The Pit Boss". 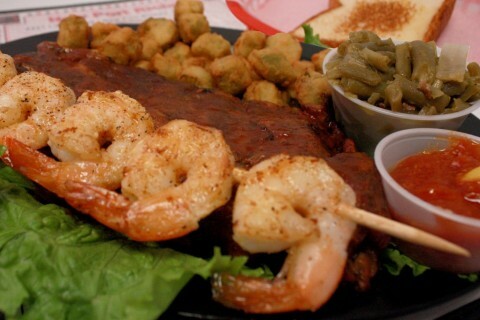 At Pit Boss Bar-B-Q, we take great pride in being the Boss of Bar-B-Q. 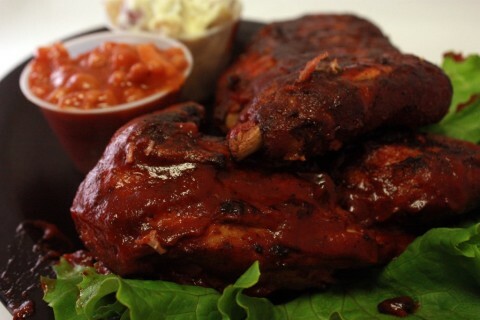 We use only the highest quality beef, pork and chicken, and slowly cook it over an oak wood fire, searing in the natural juices and distinctive smoke flavor.